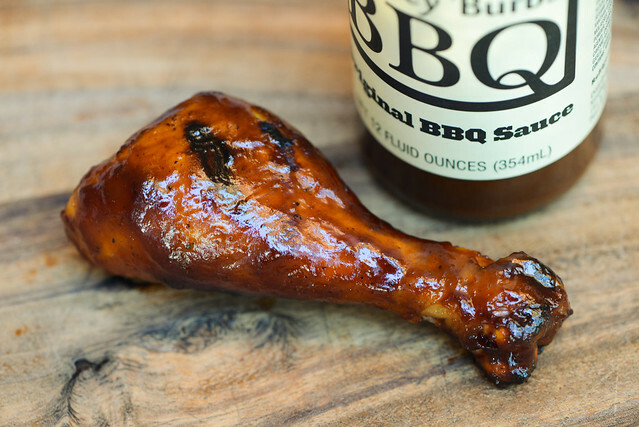 An upfront, balanced combo of vinegar, tomato, and mustard gains a ton of complexity from supporting ingredients that makes Smokey 'Burbs BBQ Original BBQ Sauce a full-bodied, versatile, and crowd-pleasing choice. John & Leah Orfini are the couple behind Smokey 'Burbs BBQ and their path into developing the sauce treads pretty familiar ground. The two started up a competition team called SmokeMonster BBQ out of Pearl River, NY—about 20 miles north of New York City, west of the Hudson. After getting their feet wet in competition 'cue, the couple took the next step and starting bottling their sauce and rub in 2015. They chose to focus on a Kansas City flavor with a bit of Carolina influence, comprised of natural products with no corn syrup, MSG, nuts, or fish, making the sauce enjoyable by almost all. First whiff of this sauce introduces a very tangy tomato aroma with a strong onion-y component. Sitting right behind the sweet ketchup smell is a mustard pungency, which is balanced out by sugary honey and a mellow molasses. A few deeper smells adds complexity with the introduction of garlic, earthy pepper, and a mild Worcestershire sauce. While there's definite sweetness, lost is the maple syrup that's noted prominently on the packaging. This rusty-orange sauce is smooth with a glossy sheen. While the sauce is opaque, the plethora of spices, which come in white, red, and black, are clearly visible. It's thickness is medium-thin, with the sauce falling in a fast, continuous pour from a suspended spoon. As the sauce slows, a few slow drips release before ceasing and leaving a light layer of sauce clinging to the silverware. A strong honey starts out flavor here, but it's not too sweet and any sugariness is quickly balanced with a combo of acidic tomato and pungent mustard. All these combine to give the sauce a lot of character out of the gate and that complexity only grows as vinegar makes its way in along with undertones of garlic, onion, and Worcestershire. The tartness of the sauce then starts to increase, along with the mustard-y bite, as an earthy pepper comes in and quickly turns spicy. This leaves a full bodied aftertaste that's primarily tangy, spicy, and pungent. The sauce coated the chicken in a thin, even layer that baked down well over indirect heat. Over direct here, there was light caramelization and no burn off. The first thing to pop out in the flavor was a very clean, bright, and tangy tomato. This was thanks to some enhanced tang and sweetness, and a downplay of the mustard, which was only noticeable after a few bites, along with with the Worcestershire and other supporting players. The pepper also become more mellow, but still present, with the earthiness having more dominance than the heat. I tend to preload my sauce reviews months in advance, and John contacted me about trying out his sauce in the winter, right at the tail end of a putting together reviews for the next few months. That meant I sat on this one for awhile, and after tasting it, I regret not experiencing its excellent flavor sooner. Out of the jar, there's a lot going on in the sauce, but a primary tomato, mustard, and vinegar combo dominate, while the plethora of additional ingredients combine in harmony to create a very interesting and pleasing background that's not quite like any other sauce. On the grill, the sauce performed like a champ, handling well over indirect and direct heat, and coming out with a clean and fresh flavor that still held a lot of the good things going for it out of the jar. 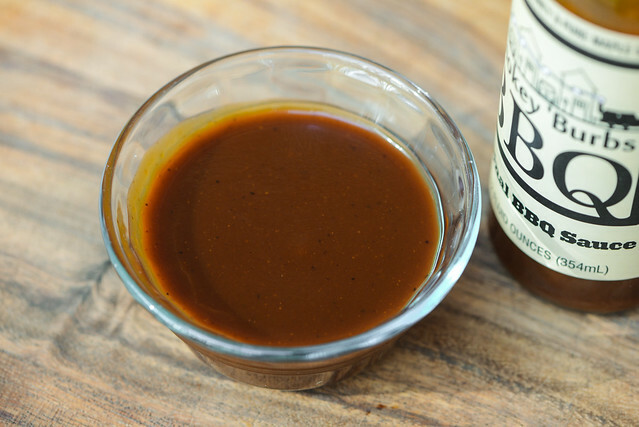 That makes Smokey 'Burbs a pretty quality choice for any grilling need, whether it be basting on chicken or ribs or topping burgers or a piled of pulled pork—I can't imagine you wouldn't be pleased using this sauce in any application. 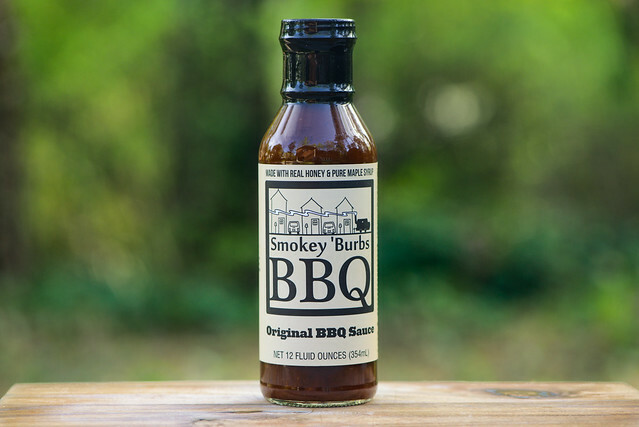 Start off the summer grilling season the best way possible, with a bottle of Smokey 'Burbs BBQ Sauce for free! If you'd like to be entered to win, all you have to do is comment on this post with your item you grill or smoke the most often. Deadline for entries is 11:59pm on Tuesday May 9, 2017. Read the official rules for more details. One entry only per individual. Good luck! My favorite thing to grill right now is pork steak...my favorite thing tends to change periodically! Bone in chicken thighs are my favorite. Pork Butts and I can not lie. Keeping things simple with chicken breast - of course with SmokeyBurbs BBQ! I mostly smoke brisket and grill chicken thighs. My rub is on point but i need better sauce, everything I get from the store is garbage, too thick and half corn syrup. Why are these comments are so weird? Only 1 actually mentions the sauce being reviewed. @Liam, this was a giveaway of the sauce, and to enter you just had to comment with the "item you grill or smoke the most often." Congrats to Susan on winning!